CHICAGO, March 25, 2019 /PRNewswire/ -- Birds Eye®, of Conagra Brands, Inc. (NYSE: CAG) and the largest frozen vegetable brand in the U.S.¹, is launching OvenRoasters™ Sheet Pan Vegetables, making roasting vegetables easier than they've ever been before. The brand is also expanding their Veggie Made™ line to include Mac & Cheese and new varieties of popular sides such as Riced Cauliflower & Broccoli and Tots & Fries. These new items deliver on the Birds Eye continued promise of making it easier and more enjoyable for families to eat vegetables. Birds Eye OvenRoasters Sheet Pan Vegetables are perfectly pre-seasoned with sea salt, black pepper and herbs to allow for deliciously crispy texture right on a single sheet pan. Varieties include Broccoli and Cauliflower, Brussels Sprouts & Carrots, Red Potatoes & Onions, and Sweet Potatoes, Carrots & Red Potatoes. The Birds Eye Veggie Made portfolio offers dishes families know and love with a serving of vegetables. The new Mac & Cheese combines the flavor of classic comfort food with the nutritional benefits of pasta made from 100 percent vegetables. Each serving of Veggie Made Mac & Cheese, which comes in both Cheddar Cheese and White Cheddar, includes 1 full serving of vegetables and 10 grams of protein per serving. "We know how important vegetables are when it comes to healthy eating habits, which is why we're committed to making eating them more convenient for families," says Adam Webb, Brand Manager at Birds Eye. "With the addition of innovations like OvenRoasters and Veggie Made Mac & Cheese, we've introduced flavorful, nutritional options that can be enjoyed without sacrificing taste or time that could be spent tackling other daily tasks." In addition to Mac & Cheese, Birds Eye continues to grow the Veggie Made line, adding new varieties of popular Riced Cauliflower and Broccoli, including Chicken Flavored Riced Cauliflower, Riced Broccoli & Cheese, and Family Size Riced Cauliflower. Veggie Made Tots & Fries are now available in Broccoli & Cheese Flavored Fries, Cauliflower & Ranch Fries, Broccoli Fries and Cauliflower Fries. Each has a similar taste and texture to regular tots and fries, but with a full serving of vegetables in each serving. The entire Birds Eye lineup contain no artificial preservatives, colors or flavors. Birds Eye vegetables are flash frozen within hours of harvest, locking in their nutrients. The cold temperature preserves the quality, just as they were when they were first picked, without the need for preservatives. Birds Eye OvenRoasters, Veggie Made Mac & Cheese and Veggie Made Riced Cauliflower and Broccoli are available in the frozen vegetable aisle at retailers nationwide for suggested retail prices from $2.99 to $3.99. 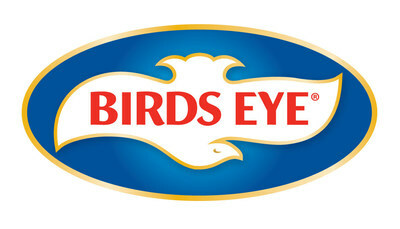 Visit www.birdseye.com to learn more about Birds Eye OvenRoasters, Veggie Made Mac & Cheese, and Riced Cauliflower, as well as the full line of frozen vegetables. To stay up on the latest news from Birds Eye, follow along on Facebook, Twitter and Instagram.